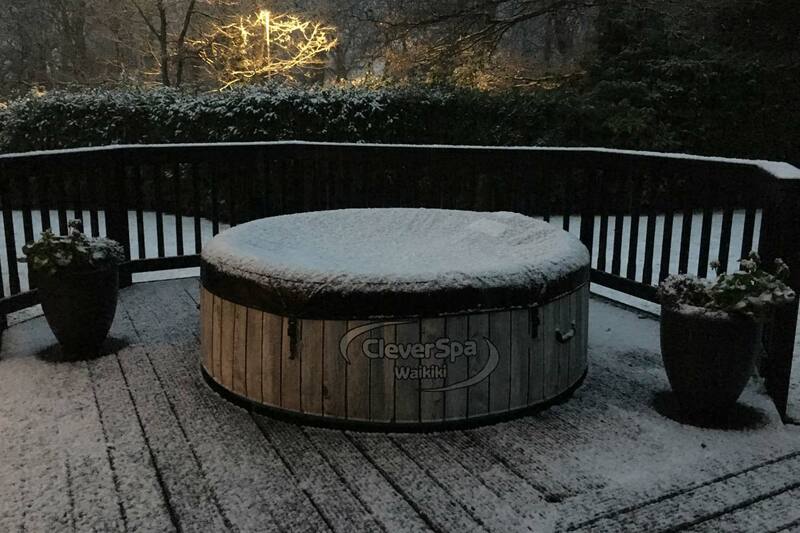 Christmas time has well and truly passed, but unfortunately, the cold weather is just getting started, but why not take advantage of this colder weather… Using your CleverSpa® in the colder months can provide a completely different experience to using it in the summer. Why not enjoy a relaxing winter’s evening relishing the contrast of the warm water to the outside air! Your CleverSpa® makes the perfect serene garden retreat. Using your CleverSpa® in the winter months is great fun but when it gets colder, maintenance is key and some more care is needed to keep your CleverSpa® running smoothly! Follow these easy steps in order to ensure you get the most out of your spa in the upcoming colder months. Keeping the PH of your CleverSpa at the right level is very important for the safety of spa users and incorrect PH levels can also damage your spa! The ideal pH levels are between 7.2 – 7.6 ppm. Test the pH of your spa water regularly and if the pH is above 7.6, then use CleverSpa® pH Minus to decrease it, if the pH is below 7.2 then use CleverSpa® pH Plus to increase it. How do I keep the PH levels perfect? 1. Pre-dissolve the required amount of pH Minus/Plus in a clean plastic bucket filled with warm water. Stir the solution until the granules are fully dissolved. 3. Continue to run your spa circulation pump for 15 mins. 4. Re-test your spa water and repeat dosage until a pH reading of between 7.2 and 7.6 is achieved. 5. Allow 15 mins before using your spa. Making sure your Spa water stays fresh and sanitised is also very important, so ensuring it is kept sanitised in the winter is important too! CleverSpa® Stabilised Chlorine Granules are the most popular method of sanitising spa water. Your spa needs to be chlorinated at all times and your chlorine levels should be checked before entering your spa. The ideal Chlorine level is between 3 and 5 parts per million (ppm) and 5ppm. 1. Pre-dissolve the required amount of granules in a clean plastic bucket filled with warm water. Stir the solution until the granules are fully dissolved. 4. Re-test your spa water and repeat dosage until the Chlorine reading is between 3ppm and 5ppm. CleverSpa® recommend you clean your hot tub filter regularly and change it at least once a month, depending on how often you use your hot tub. You will know that the filter needs changing by placing your hand in front of it, if the filter is working properly you should be able to feel a good suction, if not then the filter needs to be changed! If there is no suction, please turn your CleverSpa® off, either at the mains or by pressing the yellow button on the RCD plug. Once you have fitted a NEW filter press the GREEN button on the RCD plug to reset the system. Then refer to your owner’s manual to go through the temperature setting procedure. The integrated heating system in your CleverSpa® pumps the water through the filter into the heating chamber. Once the filter starts to degrade the motor will have to work harder (become slightly noisier) to pump the water around the system. Another sign that your filter needs changing will be the temperature on your CleverSpa® panel fluctuating up or down. When you are using your CleverSpa® frequently, be sure to keep the cover in place and locked to prevent damage! Regular checks are also necessary to ensure your CleversSpa® is running smoothly! If you are unlikely to be using your CleverSpa® for longer periods of time, for example, if you are going on holiday, then it is best to pack away your spa, to keep it safe and ready for use upon your return. How do I pack away my CleverSpa®? If you haven’t kept the box your CleverSpa® was delivered in, then a plastic storage container and lid, available from a number of large retailers will keep your CleverSpa® safe until you are ready to use it again. The container will need to measure a minimum of 70cm x 50cm x 70cm. 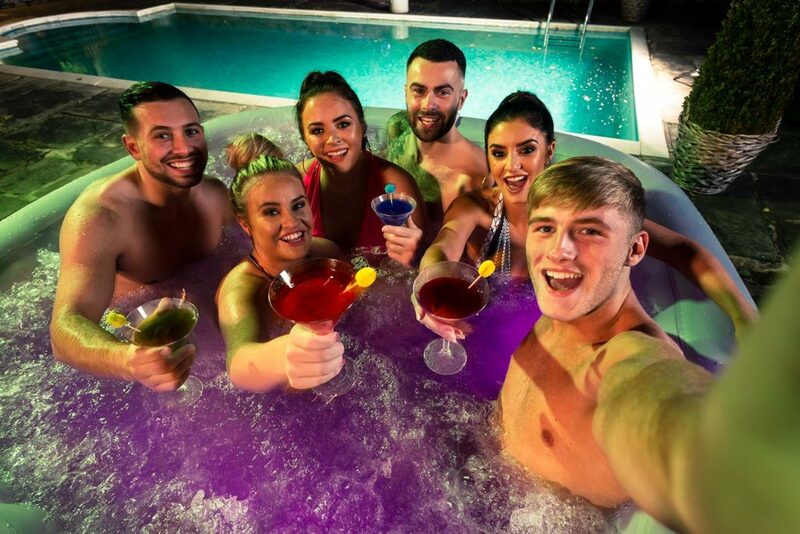 Please ensure your CleverSpa® is completely dry before packing it away, paying particular attention to the skirt of plastic at the base of your hot tub with the water bubble holes in. Please also ensure your boxed CleverSpa® is stored in a dry environment. Storing your CleverSpa® in damp conditions could lead to mould forming on the hot tub shell and potential damage to your electrics and motor which could adversely affect your warranty. We recommend you to watch our two instructional videos “How to empty your CleverSpa®” and “How to pack away your CleverSpa®” which will give visual instructions on how to do this effectively. You can find them here. Keeping your CleverSpa® running smoothly in the colder months takes a bit more care than other times of the year, but following these simple steps will ensure your CleverSpa® can be used the whole year round! We can’t think of anything better than warming up after a cold day in a serene garden spa! Check out the full range of our CleverSpas on our website!